If frozen bananas were a brand, they would definitely make me their brand ambassador! Every time someone starts talking about having to throw away bananas because they were going black, I jump in and say "Have you tried freezing them?". If you look in my freezer, you'll always find freezer bags with some chopped bananas. I find them very convenient to use in smoothies, especially in the mornings - just add some coconut water and you have a lovely chilled banana shake. You don't need to add any sugar as the bananas provide a natural sweetness. Also since the bananas are frozen, you don't even need to add any ice. 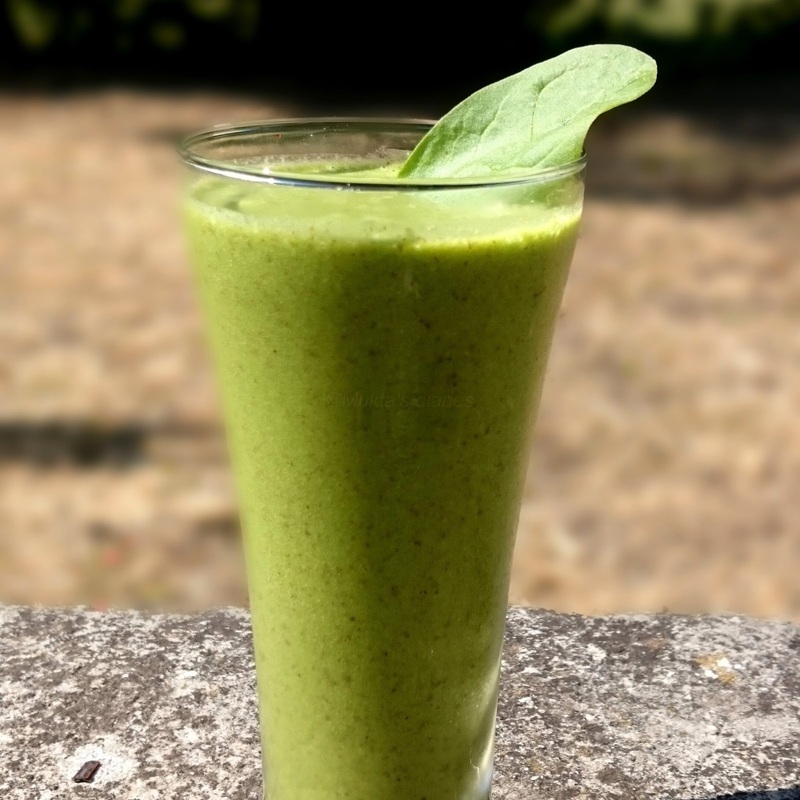 Here's another favorite smoothie recipe, which is healthy and a great way to get those greens in you! Add the ingredients to a powerful blender and blend until it all comes together.